Zack Snyder gave his blessing to James Wan on his director’s cut of Aquaman. Snyder has an interesting relationship to the on-screen DC universe at this point. He was the man who kicked this whole franchise off with Man of Steel, ultimately leading to Batman v Superman: Dawn of Justice, a movie that proved to be quite dark in tone and massively divisive. Justice League entered production very shortly after that movie was released, which made for a tumultuous production process as Warner Bros. clearly didn’t want to repeat the same mistake twice. These days, Snyder isn’t really involved in the DC movies in a meaningful way, but he still gave his seal of approval to Aquaman. James Wan was tapped to direct Aquaman before the DC boat was rocked all too hard. 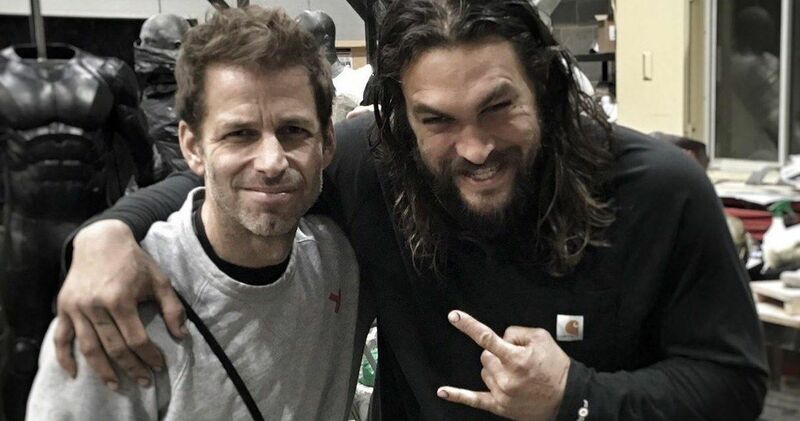 Zack Snyder eventually departed Justice League, even though he still wound up being the credited director, with Joss Whedon coming in to finish up the movie and conduct massive reshoots. Still, Wan clearly wanted to see what Snyder thought about his DC Comics adaptation and, apparently, Zack Snyder was happy with what he had done. Here’s what Wan had to say about it in a recent interview. Zack Snyder and his wife Deborah were both credited as producers on Aquaman, but it doesn’t seem like they had much in the way of creative input. After Justice League failed to meet expectations, Warner Bros. shifted their strategy with DC Films behind the scenes. What that ultimately meant is that whatever vision Snyder had for this universe in the beginning was thrown out the window. From a financial standpoint, that may have been the right movie. So far, Aquaman has already grossed more than $750 million worldwide, besting Justice League, Man of Steel and Suicide Squad. Critics and moviegoers have also, generally speaking, been more kind to the movie, when compared to those that Zack Snyder directed. Still, it was Zack Snyder who hired Jason Momoa to play the role of Arthur Curry and, without that, Aquaman wouldn’t be what it has become. We’re never going to see the Snyder cut of Justice League and we’ll never know what would have been if Warner Bros. had stayed true to his vision. But it’s clear that James Wan still has respect for the man and, without Snyder, we wouldn’t be in a place where Aquaman could wind up grossing $1 billion worldwide. This news was first reported by Collider.